I first heard of Evergreen at the beginning of the year. It was listed in the LA Times as one of Angeleno’s top open spaces. After asking around both native and transplants, I found exactly 2 people who had ever of it, neither had visited. Yesterday, I finally went to the cemetery. 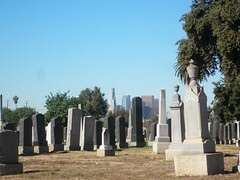 Located in Boyle Heights Evergreen Cemetery is Los Angeles’ oldest graveyard. There are over 300,000 people interred there, including the movers and shakers of the city’s past. 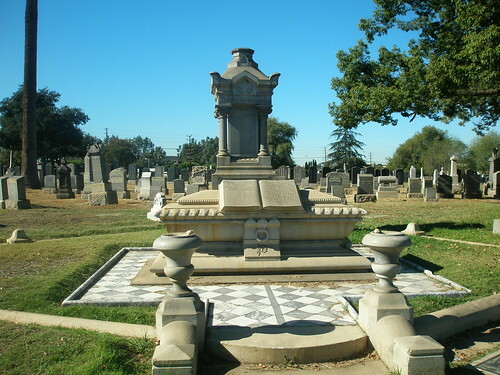 You can find a list of famous Angelenos buried there on Wikipedia & Find a Grave. What’s fascinating is how segregated the park is. There is a Chinese section, a well-kept Japanese section, blacks were buried high on a hill in the corner of the park, and there’s large Armenian area too. I decided to ignore the more famous inhabitants and photographed the tombstones that captivated me. There were some that clearly were tributes to one person, large family plots and the random tiny markers indicating a dead child. Some of the tombstones have eroded over time, to the point where it was it nearly impossible to read what was on there. Over the past 100 years, others have sunk into the ground or are leaning badly. Some of the markers told us that the person was a transplant to Los Angeles, others even detailed why. Striking to me were the ones that listed the person’s lifespan as 51 years, 7 months and 3 days. It was interesting to see how different cultures borrowed from one another to honor their dead. For example, the Armenians had photos on their grave markers, yet much later you’ll see that the blacks and Japanese began to do so also. If you’re interested, you can view more photos in the Evergreen Cemetery Photo Set. I’m surprised you only found two people who have heard of Evergreen. Most everyone on the Eastside has family buried there or has been there for a funeral. You should also check out Calvary a little further east. Yes, I was thinking the same thing. The only people I found that have heard of it grew up in the area when Boyle Heights was a Jewish neighborhood. In my 2 years on El Sereno, I’m finding that most people have lived here for some time. Everyone I posed the question to said, “You mean Calvary?”, but hadn’t heard of Evergreen. I went on a tour there through the Studio of Southern California History. The owner of the founder of Ralphs is buried there (he fell off a cliff), Harry Chandler’s first wife was buried there freeing him up to marry Marion Otis the owner of the sort of at one time fabulous LA Times, Earl Rodgers who was a Johnny Cochran attorney figure (got Griffin J Griffin –of Griffith Park fame- off with a light sentence for shooting his wife in the eye), though he died in a pauper’s grave, he had a drinking problem and died in a SRO…who would think a cemetary could be so much fun without breaking into it with beer you bought with a fake id. 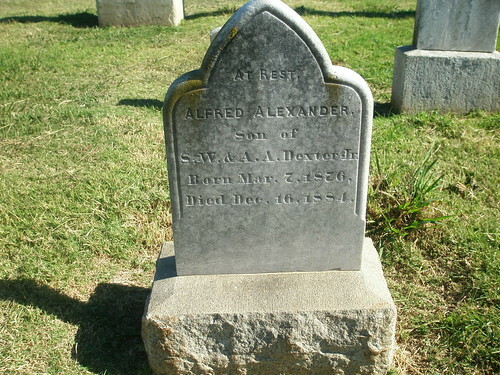 I meant cemetery, damn it…. Nice spot indeed. How hard is it to find parking around there? I’d love to spend some time around there shooting. Wow…the tiki looks fun, is that Shag’s art in the link? Rick Kess is another artist friend who’s got a huge series of tiki paintings. What a great photo set!